Professional grade stump grinder. 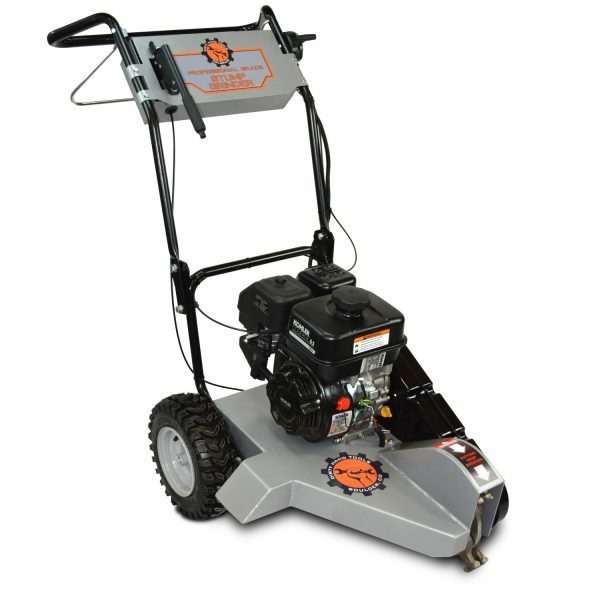 Features a powerful 6.5 HP 196cc* Kohler SH265 3000 series EPA/CARB approved engine. Stump removal is simple and fast with carbide tipped cutting teeth that grind the toughest wood. Rotary 8 tooth cutting head. 1.75″ width x 11.3″ diameter cutting size. Replaceable carbide tipped cutting teeth. 1900 RPM centrifugal clutch transmission. V-Belt, multiple layer transmission belt. 10 gauge steel, welded frame. 14.5 inch diameter pneumatic tires. Adjustable to 32″, 36.5″, or 40″ height. 28″W x 51″L x 36″H.